The world of Fate/Apocrypha, which runs parallel to Fate/stay night, depicts seven servants fighting in a Holy Grail war. Now, Kotobukiya has summoned one of those servants — Astolfo, Rider of Black! Astolfo is depicted on his way into Trifas, caught in mid-skip with a cheerful smile on his face and his striped shirt and purple hoodie fluttering lightly around his body. 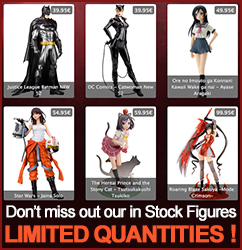 What is a PVC Figure?